Code Words are a para-technology related to spells. Code Words are powerful word(s) used to immediately provoke the energies or powers of a spell. This allows you to to be able to activate and deactivate your bindings upon desire. You can purchase this listing to add Code Words to any spell binding we offer in the shop that does not already come with Code Words. You will need to add one quantity of this listing for every spell on your order you want Code Words for. Make sure to tell us which spell in your order you want these Code Words for in the space below. If you have any bindings that you would like to have additionally bound to your master vessel or bound to your spirit, you can use this listing. Please be clear and concise, providing the order number of the spell, entity, or spirit, and providing the full title of the spell, or the race and full name of the spirit or entity. You must provide all essential information or your order will be greatly delayed as we have to contact you. Please purchase 1 quantity for each spell, spirit or entity, and please tell us if this additional binding is for your master vessel or bound to your spirit. If it is for your master vessel, please provide the master vessel's original order number. 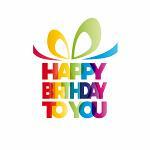 You can sign up for the birthday club using this link. Help I (Lost Or Broke) My Vessel! If you have lost or broken your vessel please use this listing to submit your problem.